Why aren't my photos on my carousel displaying in the sort order I have chosen? This is because the carousel style is set to randomize. 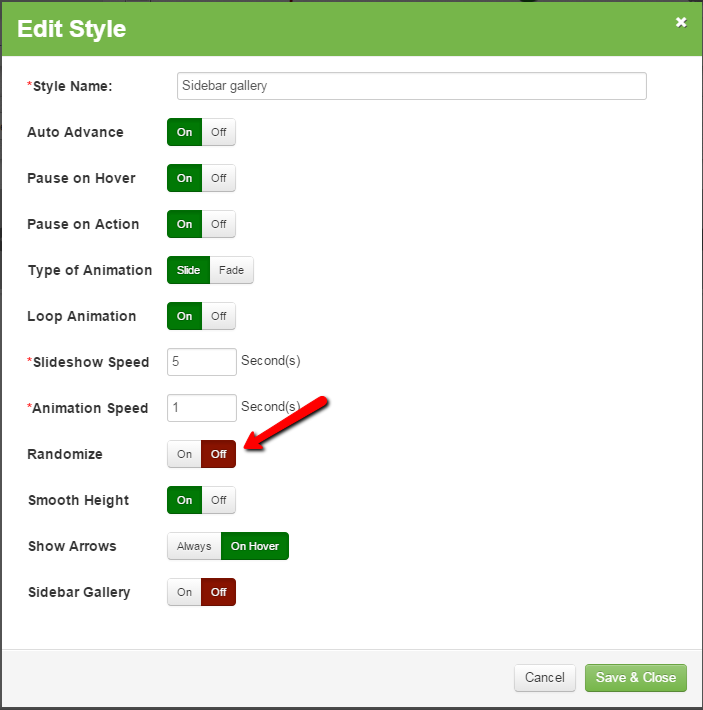 Click the carousel picture, on the left in the Applied Style dropdown menu, it will show you the style used on this page, as shown below. 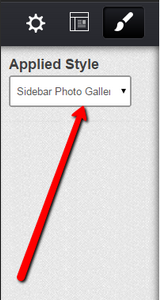 This change will stop the photos from being show in a random order and go in the order you have selected based on their order in the photo category itself.